After a very tiresome and exhausting day during our team building activity last July 9, 2011. 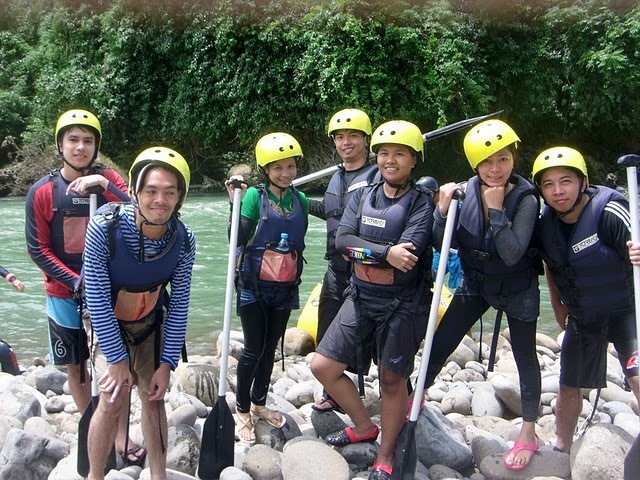 The Gearyseo team from CDO and Davao dive into another exciting adventure, the white water rafting advance level. 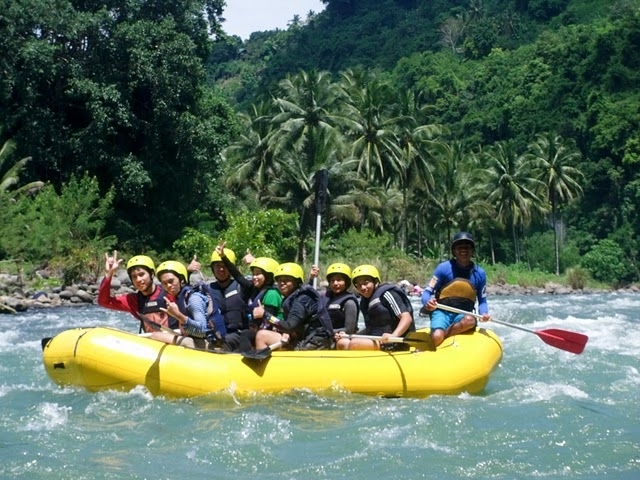 I have been waiting this experience since I started working in CDO, yet it’s hard to find such time and group of people who are interested in this kind of adventure. So glad, time has come and I’m very much excited, happy and nervous at the same time. 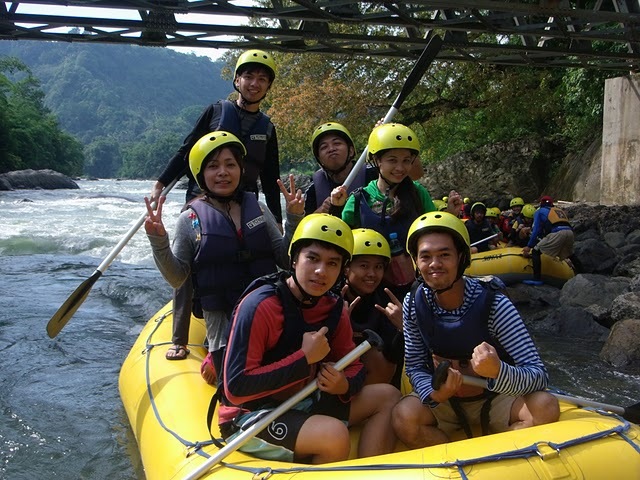 This was my first time to do rafting and automatically go into the advance course. 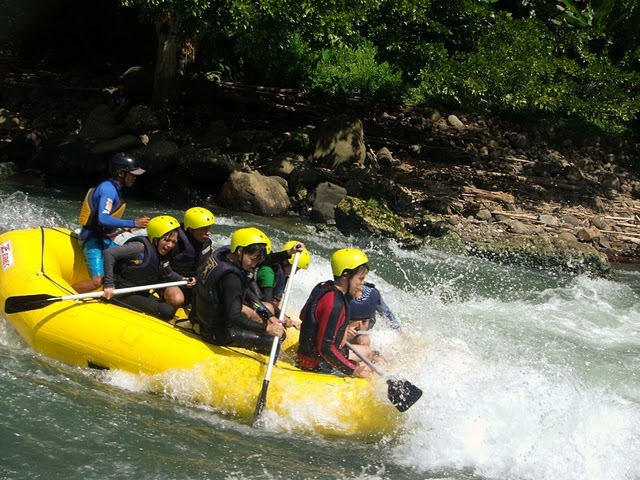 The group meets up around 5am in Divisoria, CDO and travelled to the rafting place for an hour then started the race around 8:30am. We are all set now with safety gears after that, a short instruction from our guide. I’m definitely excited and nervous that time, I could see the heavy waves splashing with big stones. I started screaming and shouting again (this is it!! whooooooooooooooo…) that’s all I can do just to release all my unexplainable feelings and thoughts. Fear of water? Thumbs up, I’m the most coward because I don’t know how to swim. 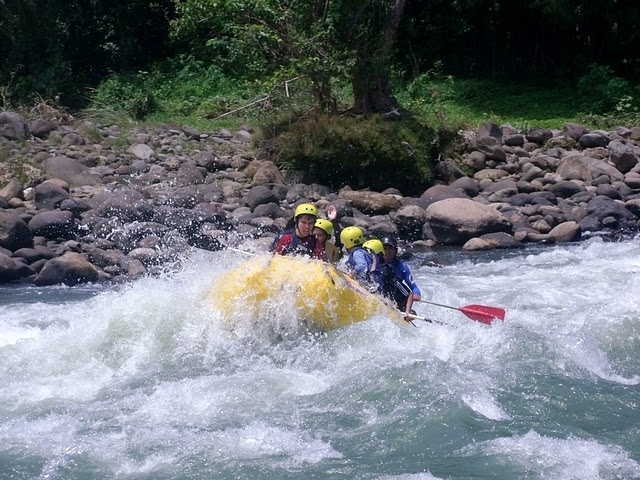 Good thing during that time, the guide said “if you’re away from the raft don’t try to swim just go with the flow of the water”. WEeeeeeeeee.. I’m happy to hear that because I don’t know how to swim but their was a life vest then. We now started the first rapid, I thought all 21 rapids that were gonna pass through are of the same level but sad to say it’s not! 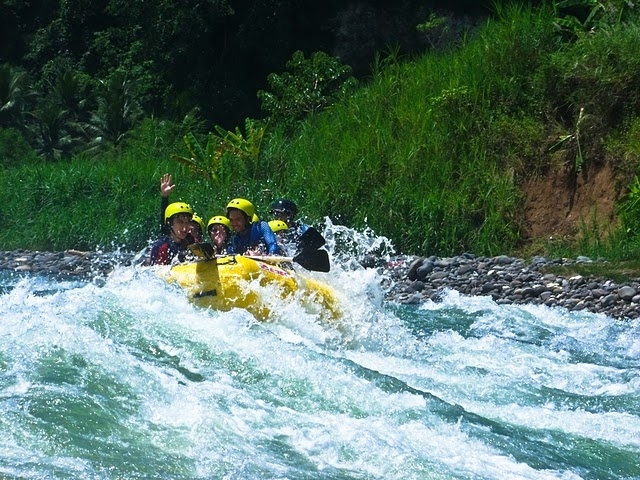 Expect the most challenging and fearful rapids our guide has told us. In our raft were all 8 in the group including our guide. Most of us were first timers, but all are willing to experience that unusual adventure. As we set for the trial rapids waves of cold water was starting to splash in our raft. How could I explain my whole experience that day? 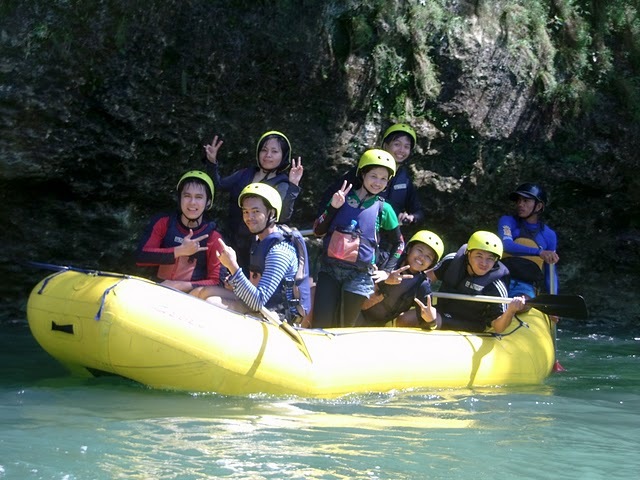 Well, I’ll only highlight those unexpected event happened and that is when our raft turn and all of us in the group got drown. Believe it or not! It was intentionally done by our guide just for fun? Crazy he was! But I admit it was incredibly fun never have I regretted that he did that (hahaa). The 21 rapids have its unique name, but I can only remember the elephant back rapid. 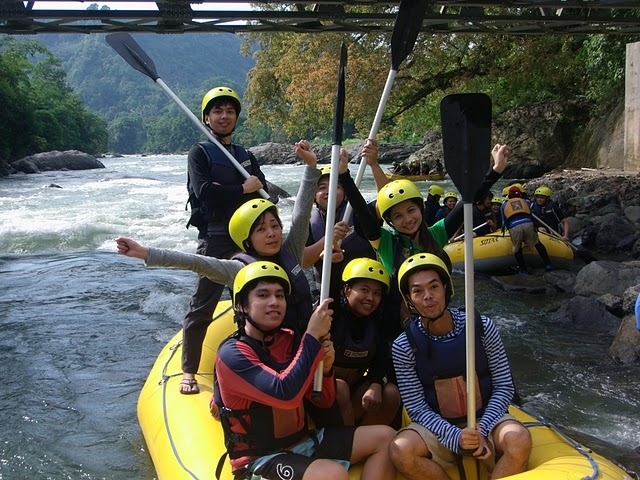 During the advance course of rapids, I have not tried paddling; I have no guts to try at all. Only our boys in the group did and the girls were cheering the paddlers. 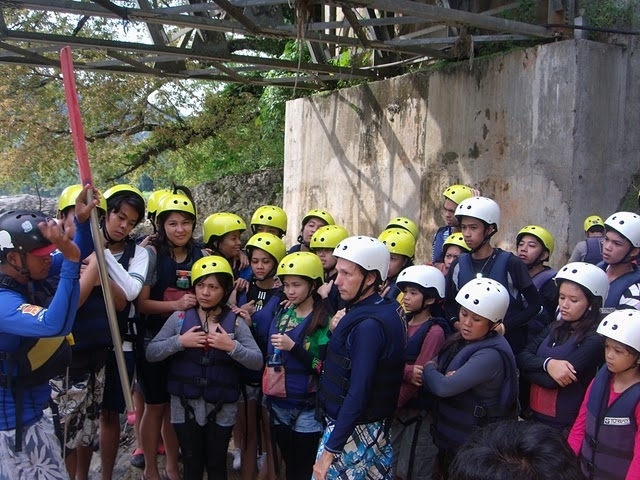 But when we’ve pass through the advance level, I’m now curious and eager to try paddling on the beginner’s rapids level. And guess what? I did! 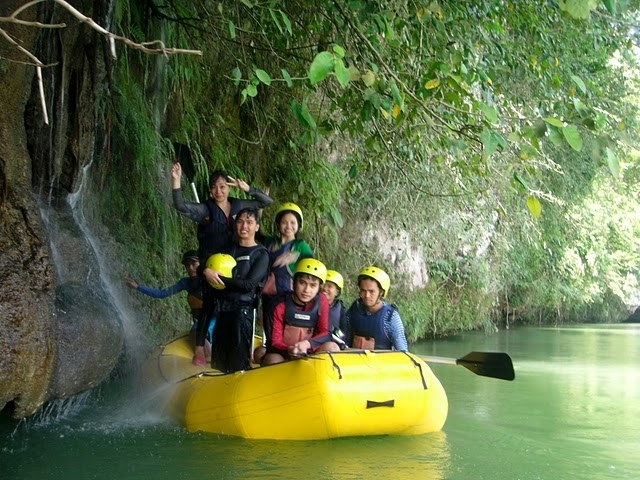 Adrenaline rush as I started doing paddling..hehehe..so happy I have done such achievement. I started paddling on the 15 rapids down to zero. The experience was amazing, intense, exciting and nervous but when your in that moment, you could only say “this is it!..break a leg!” no left turn anymore. Expect the unexpected, your raft might flip, or you might even fall, expect those things to happen caused our group experienced that. And it was all worth it! This is what I get during that rafting adventure, if you really want to try such challenging adventure and you know that something bad might happen, don’t think about those possibilities during the raft but instead challenge your self to do your best, specially your strength and think what might happen with the group if you’re not responsible and brave enough to the best paddling that you can do. A tap on my back for being brave and over passing those different rapids. 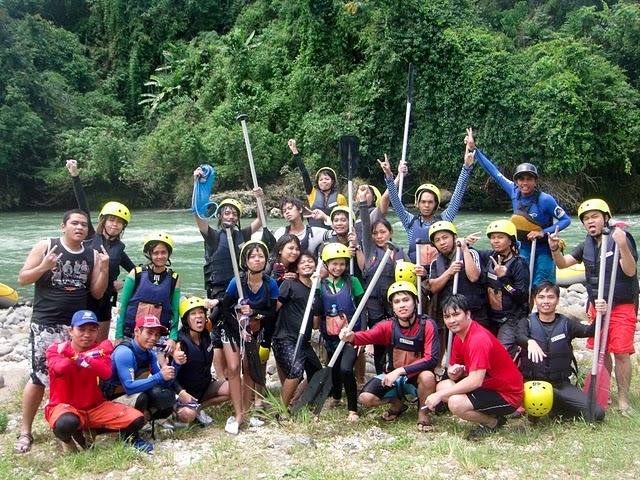 It was a cool adventure and thankful enough I’m with cool people from Gearyseo Davao team. 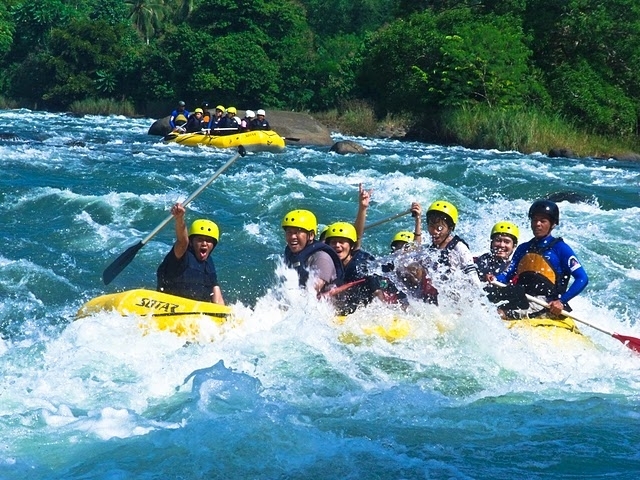 By the way, guys they have extreme level of rafting, would you go for it? Me? Why not..hahaaa…it’s another and more suicidal experience to conquer. Group pix with our great guides!! !